We take a trip over the Atlantic today to meet meet the wife of a man who became president. Unassuming, devoted to her family and destined to die at a young age, Hannah Van Buren passed away almost twenty years before her husband took office, a tragic victim of consumption. Hannah Van Buren was born to Johannes Dircksen Hoes and Maria Quakenbush in Kinderhook, where she was raised in a Dutch home. As a girl Hannah spoke Dutch and never lost her accent throughout her life. Shy and unassuming, Hannah met her distant cousin, Martin Van Buren, as a child, and the pair grew up as sweethearts. It can have been no surprise when the couple became engaged and, once Van Buren was established in his New York legal practice, the couple were married on 21st February 1807. Matin always called his wife Jannetje and was devoted to her and though their marriage was not to be long-lasting, the couple had five children, four of whom lived to adulthood. When the Van Burens moved to Albany in pursuit of Martin's political career, Hannah devoted herself to her family and husband. She also took part in philanthropic activities on behalf of the Dutch Reformed Church, although these were curtailed as her health began a steep decline. Aged just 35, Hannah had contracted tuberculosis and her condition declined drastically as the illness took hold. Philanthropic to the last, she requested that her funeral be a simple one and that any money saved might be used instead to buy food for the poor of Albany. 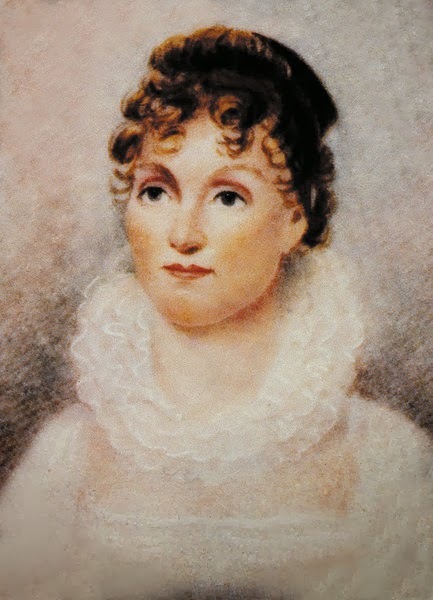 Van Buren was devastated at Hannah's death and never remarried; instead, his daughter-in-law, Angelica Singleton Van Buren, served as unofficial First Lady during his presidency. In fact, Hannah predeceased both her mother and father and when Van Buren wrote his autobiography he did not mention his beloved Jannetje at all. There is really no agreement on why he omitted her from the book and he never discussed her with his sons as they grew up either. It may be that he was being a gentleman by not discussing her in print or perhaps he felt her loss so deeply that he could't bring himself to do so. How very sad that she is not mentioned in his book. People's ways of dealing with grief are so different, and I suppose this was his. Interesting "Jannetje" is Dutch for Jane or Janie. Perhaps her middle name or pet name. Hannah would be "Annetje." Dutch Reformed Faith were still doing dual or alternating sermons in Dutch & English tongue as late as the mid1820s in the Hudson Valley. Many places in the Hudson Valley & its migration locations Dutch was still spoken well into the late 19c & early 20c.